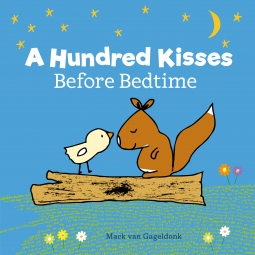 A gentle bedtime story: A Hundred Kisses Before Bedtime by van Gageldonk – Joyce's mystery and fiction book reviews with some non-fiction too! This is a gentle and sweet read aloud story. At bedtime, Chick visits all of her animal friends and there are many including a hedgehog and ducklings, among others. Chick helps each animal to settle down for the night and even helps the owl to settle down for sleep in the day. Young listeners will like the repetition on a theme and they can also learn the names of many animals too! This one is a nice addition to the bedtime shelf with its simple sentences and appealing illustrations. ← Alphabet for girls: ABC What Can She Be?